Annotation: These whiteboard-ready lessons provide a dynamic tool for helping students master key writing forms. 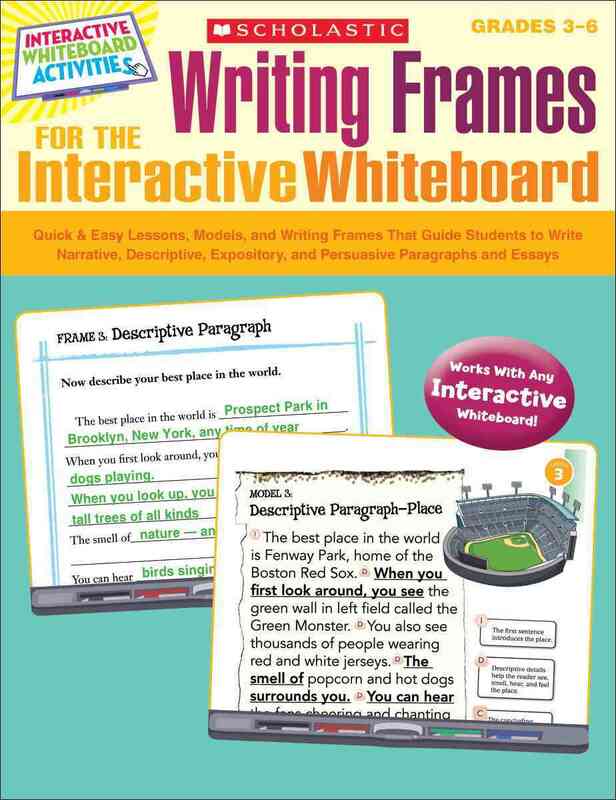 Each lesson presents a must-know format, such as a personal narrative or a summary, and shows step by step how to introduce and teach the modelâ€”and how to use the interactive whiteboard to engage students in learning. The models include sentence starters and other annotations that help students understand the writingâ€™s structure. Filling in the missing information in the companion frames helps students to instantly organize their ideas. This resource also includes checklists that help students independently apply what theyâ€™ve learned!